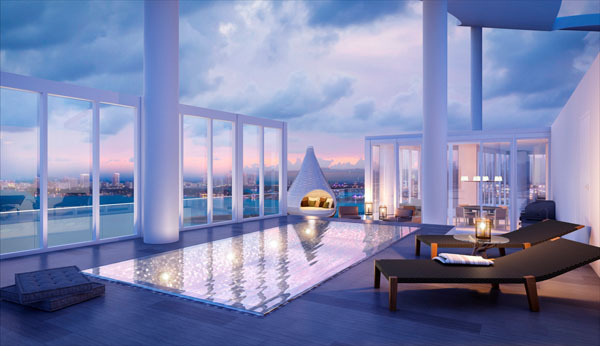 When it comes to investing in Miami real estate, Alicia Lamadrid, Regional Sales Manager of Cervera Real Estate, is an expert in the field of luxury real estate. As a specialist in Miami’s newest developments we tapped Lamadrid to find out more about the city’s booming East Edgewater neighborhood and where to find value in the ever-changing luxury real estate market. RM: Can you tell me a little about East Edgewater and what makes it attractive? AL: There are several factors that make East Edgewater an attractive opportunity for buyers. 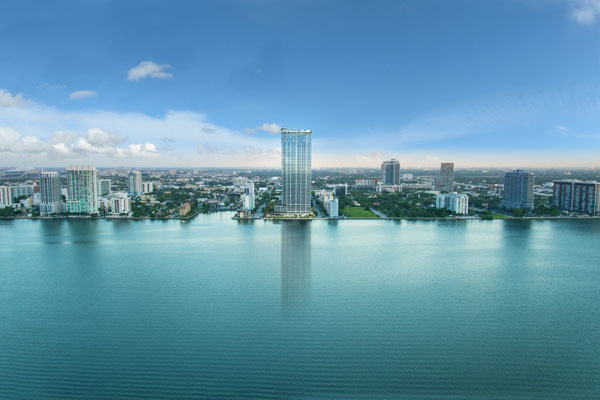 To start, it is the last neighborhood where buyers can purchase new waterfront condominiums, at a great value, in the center of Miami. Its bayfront location is only minutes from the beaches and Miami’s top neighborhoods. Just steps to the north is luxury shopping in Miami’s the Design District, to the west is Midtown and Wynwood, famous for its many galleries and rich street art. To the south, Downtown Miami is home to the American Airlines Arena, the PAMM, the Adrienne Arsht Center for the Performing Arts, and the Patricia and Philip Frost Museum of Science. Every day we are witnessing the evolution of this neighborhood, due to the new developments and activity taking place in the urban core. I am excited for the completion of the Biscayne Line, a 3.75-mile waterfront bay walk that will connect East Edgewater to Brickell, the River, and Downtown Miami and allow residents to enjoy Miami’s tropical waterfront and interact with the Bay. East Edgewater is the only place in the urban core where buyers can enjoy waterfront views in a new condominium and be in close proximity to their work and the exciting things taking place in the city. RM: Do you think there’s a lot of value on the Biscayne side vs. the Beach side? AL: Absolutely, I do. When you consider what the same dollars can buy you in Miami vs. Miami Beach it’s a no-brainer. For example, the average price for a 3 bed/3bath condominium units in all high rises built after 1990 in the South of Fifth neighborhood is $5.25 Million. 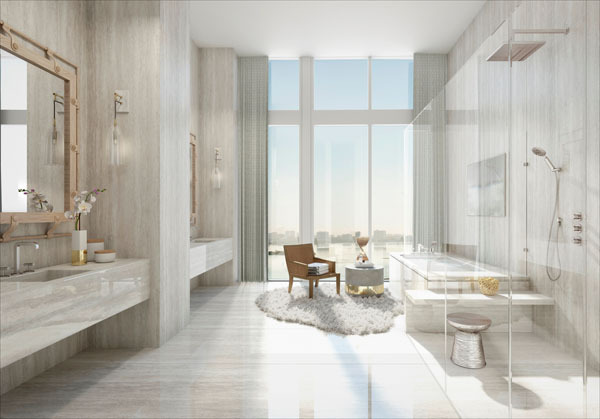 At Elysee Miami, a luxury waterfront building in East Edgewater to be completed in 2019, the same 3bed/3bath average price is $1.85 Million. RM: Are there any new trends that you’re seeing in the Miami real estate market? AL: As Miami’s real estate market continues to mature we are starting to see that there is a growing community of full time residents that are having families and not moving away from the urban core to the “suburbs.” That is leading to some visionary developers seeing an opportunity in not just building large scale very dense buildings with the maximum number of units possible, but in curating exclusive residences for end user buyers with amenities designed for those users as well, including private dining rooms with a chef’s kitchen, children’s’ play areas, and luxury concierge services. RM: What kind of buyers are you seeing looking for property in East Edgewater? AL: It really depends on the building. Since the area has experienced so much growth there is a little something for everyone. At Biscayne Beach, Two Roads Development’s soon-to-open project in the neighborhood, we saw a lot of the “neighborhood pioneer” type buyers. This is the person that has a history of buying in undervalued neighborhoods before they are fully developed and once they see the value appreciate dramatically, they move on. I think this stands for the neighborhood as a whole. Currently at Elysee Miami, we are seeing more end users who are looking for a second home or for their permanent residence. AL: Biscayne Beach is a great building. It will literally bring “beach style living” to the city of Miami with a one-of-a-kind private Beach Club exclusively open to residents and members. The building will also feature a renowned restaurant and bar, as well as several pools with private cabanas and concierge services. 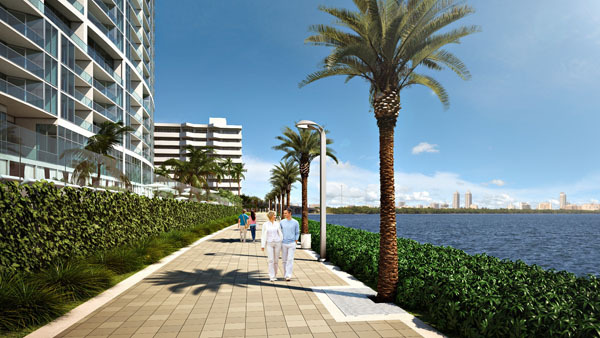 All of these features will be set against the backdrop of sweeping Biscayne Bay views, with a public bay walk providing access to the water. 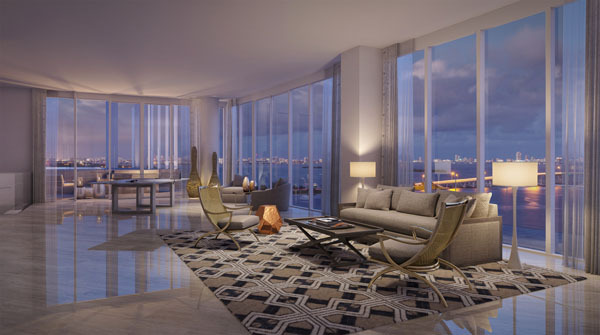 The developer’s vision for Elysee Miami was to create a boutique building that would feel like a grand home. This intention is expressed in all the amenities, which were designed to be an extension of every resident’s personal living spaces. The waterfront building features only 100 residences ranging from three- to five-bedrooms and measuring between 2,200 and 4,000 square feet serviced by luxury concierge company Luxury Attache. The most exquisite common area is the full 30th floor Owner’s Lounge that was designed to house a cocktail lounge complete with a grand piano, private dining room with an adjoining chef’s kitchen, private library, theatre, teen room, and meeting area for private events.